The Southwest’s Premier Shipping Container Source! GOContainers is a family owned and operated container source that began in 1986 when shipping containers for personal use was a foreign concept and consumers thought ‘shipping containers’ meant cardboard boxes. Since then, our family has been bringing a selection of curated, high-quality shipping containers to the South and Southwest for personal, commercial and industrial storage and miscellaneous use. In 2013 we noticed that too many shipping container sales companies were selling low-quality, unreliable shipping containers to unsuspecting but trusting customers. Because it is our mission to connect consumers with high-quality, durable, reliable shipping containers that meet the individual needs of our customers, we expanded our business in Houston and Dallas to San Antonio and El Paso. Since then, we’ve added satellite locations in Amarillo and Laredo. Despite the massive expansion, GOContainers is still and always will be a family owned and operated business. Our brothers, sisters, cousins, and in-laws personally operate bases in Houston, Dallas, San Antonio and El Paso with service to Texas, New Mexico, Oklahoma, and Louisiana to provide the South and Southwest with quality shipping containers that they can count on. 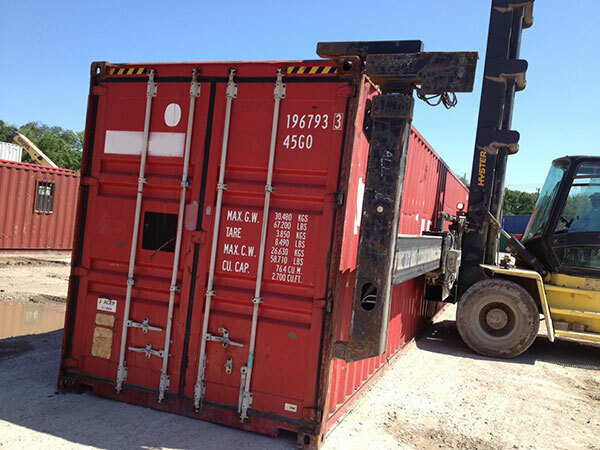 This means we work with our customers to identify and hand-deliver the shipping container that meets their requirements.